Check out 51 seconds of gameplay from Platinum’s shooter. Star Fox Zero, developed by Nintendo and Platinum Games, may not be out for several more months but it recently received some new gameplay footage. Check it out below, even if it is only 51 seconds long. The footage showcases the usual gameplay we’ve come to expect form Star Fox – All Range mode is present with dozens of enemy ships vying for control against the Star Fox Team (though if you look closely you can spot a Land Master tank as well); an aerocopter which stealthily avoid search lights; and of course, the signature lock-on targeting. 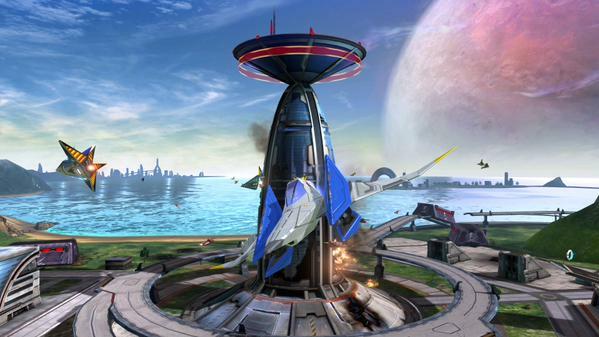 It looks good but will it be enough for Star Fox enthusiasts? Star Fox Zero will be out on April 22nd 2016 for the Wii U and will utilize both the main screen and the Wii U Gamepad for play. What do you think of the new gameplay footage? Let us know in the comments below and stay tuned for more information.